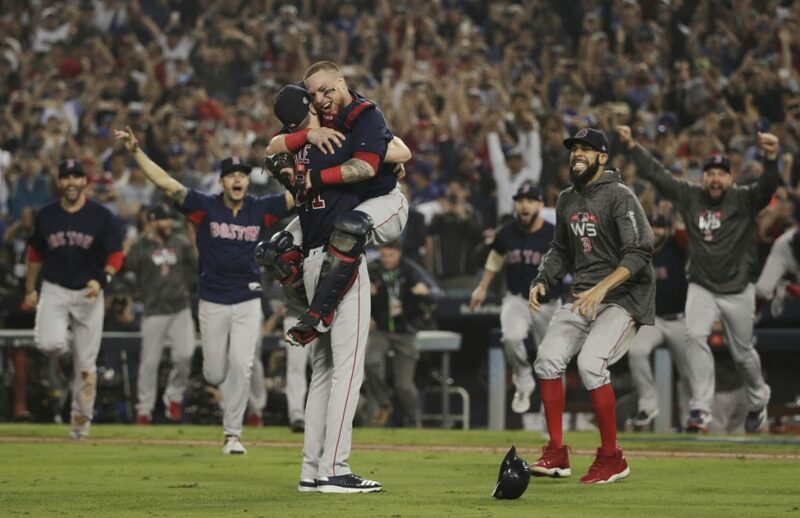 David Price and Steve Pearce lift Boston to a 5-1 victory over the Dodgers as the Red Sox win the World Series in five games. 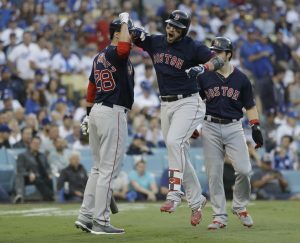 LOS ANGELES — The Boston Red Sox really are that great. Long downtrodden during decades of despair before ending an 86-year championship drought in 2004, the Red Sox have become baseball’s team of the century with four titles in 15 seasons. 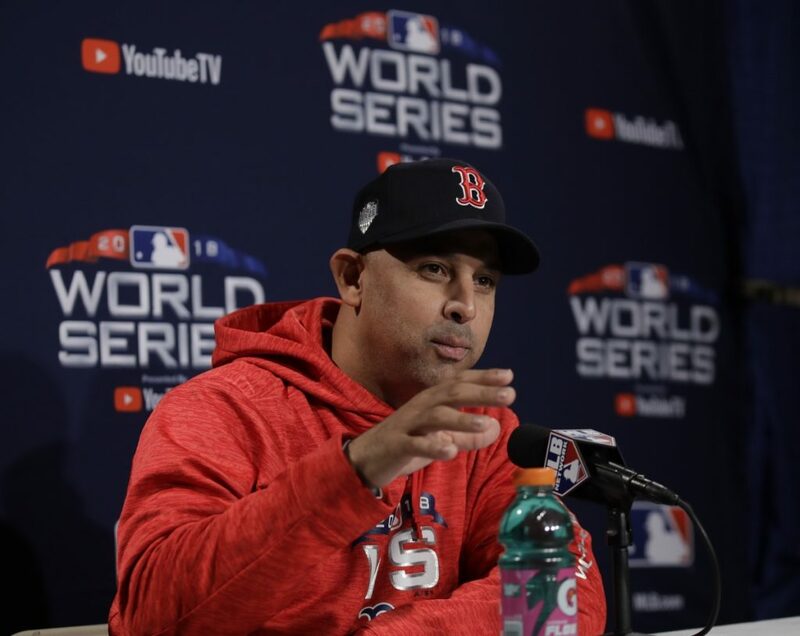 Alex Cora’s team romped to a 17-2 start and a club-record 108 wins, then went 11-3 in the postseason, dispatching the 100-win New York Yankees and the 103-victory and defending champion Houston Astros in the playoffs. Cora became the first manager from Puerto Rico to win a title and just the fifth rookie manager overall. Pearce hit a two-run homer on Clayton Kershaw’s sixth pitch. 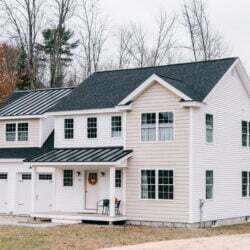 Solo homers by Mookie Betts in the sixth inning and J.D. Martinez in the seventh quieted the Dodger Stadium crowd, and Pearce added a solo drive off Pedro Baez in the eighth. Pearce, a June acquisition from Toronto, had three homers and seven RBI in the final two games. 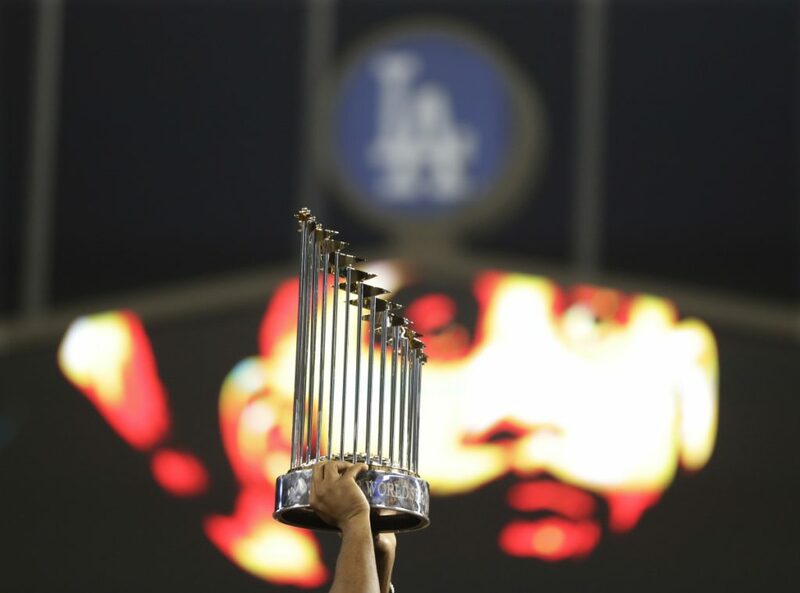 After losing to Houston in Game 7 last year by the same 5-1 score, the Dodgers became the first team defeated on its home field in consecutive World Series since the New York Giants by the New York Yankees at the Polo Grounds in 1936-37. 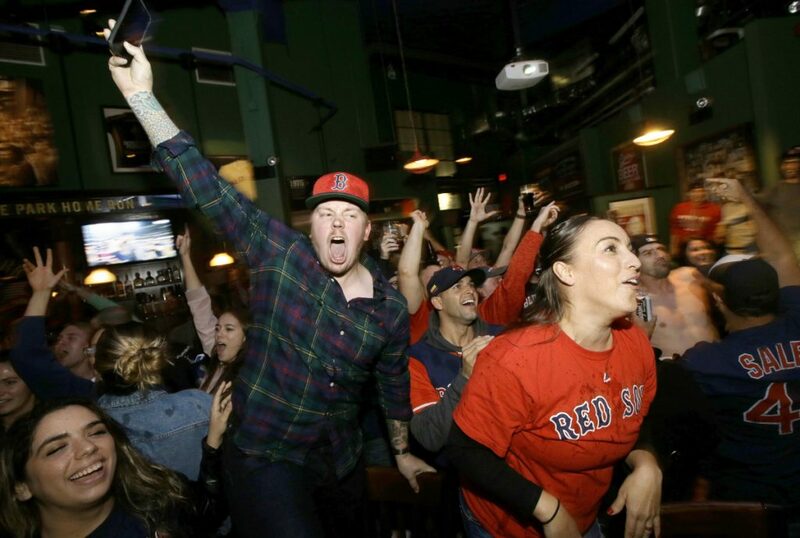 Boston’s Steve Pearce celebrates with J.D. Martinez and Andrew Benintendi after hitting a two-run home run during the first inning in Game 5. 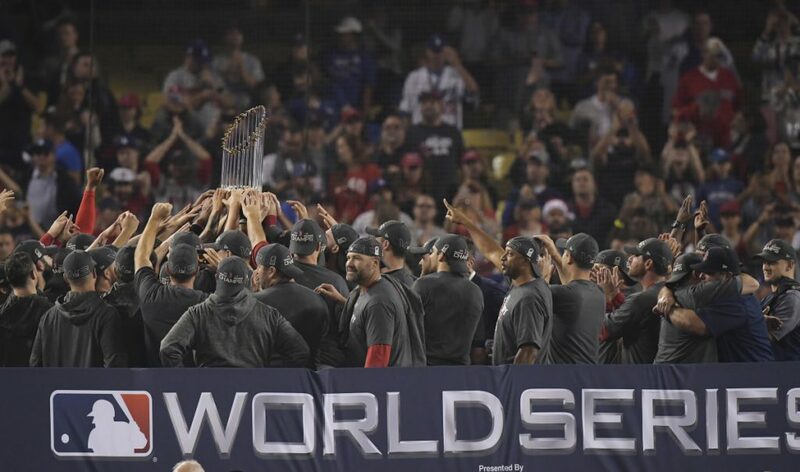 Boston won its ninth title, tying the Athletics for third-most behind the Yankees (27) and Cardinals (11). 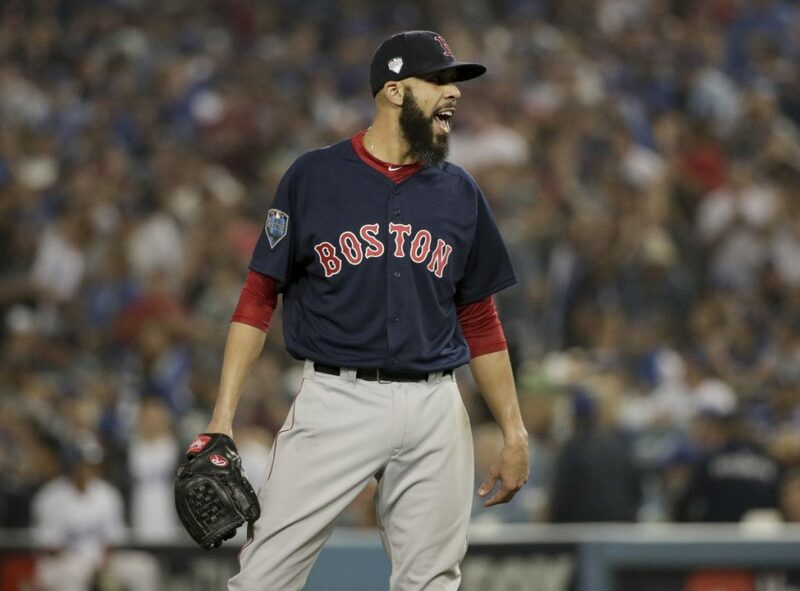 All that stood between the Red Sox and a sweep was an 18-inning loss in Game 3, the longest World Series game ever. 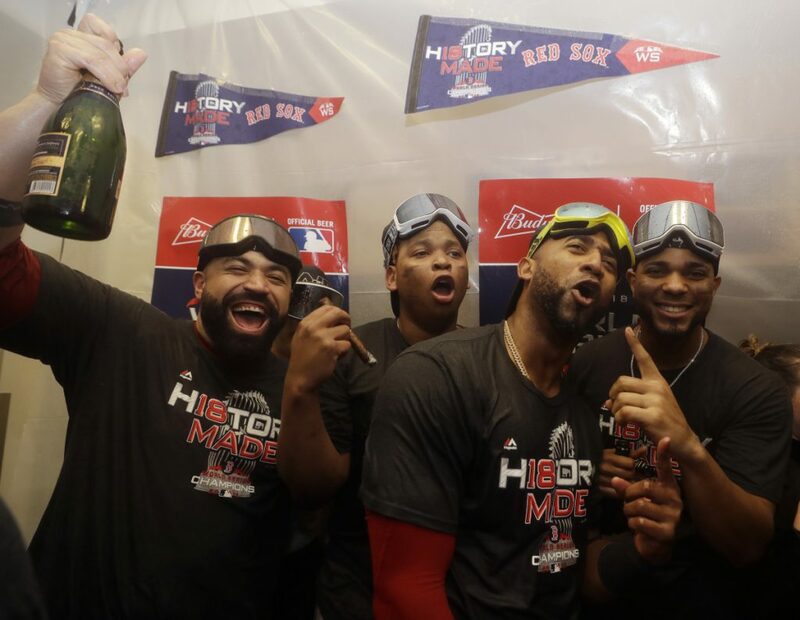 They trailed 4-0 in the seventh inning of Game 4 when ace Chris Sale rose from the dugout bench for a fiery, profane, motivational rant, and woke up for a 9-6 win. Boston never trailed in Game 5. Price gave up a home run to David Freese on his first pitch, then allowed just two more hits – the last a triple to Freese that Martinez lost in the third-inning twilight and allowed to drop behind him in right. Price struck out five and walked two, retiring 14 in a row before a leadoff walk to Chris Taylor in the eighth ended his night after 89 pitches. He tapped his heart several times to Red Sox fans behind the first-base dugout while walking to the bench. Joe Kelly struck out three straight pinch hitters, and Sale, originally scheduled to start Game 5, fanned three more in the ninth. Sale ended by throwing a slider past Manny Machado, a meager 4 for 22 (.182) in the Series, and raised both arms as catcher Christian Vazquez ran out to jump on him with glee and teammates from the dugout and bullpens followed. 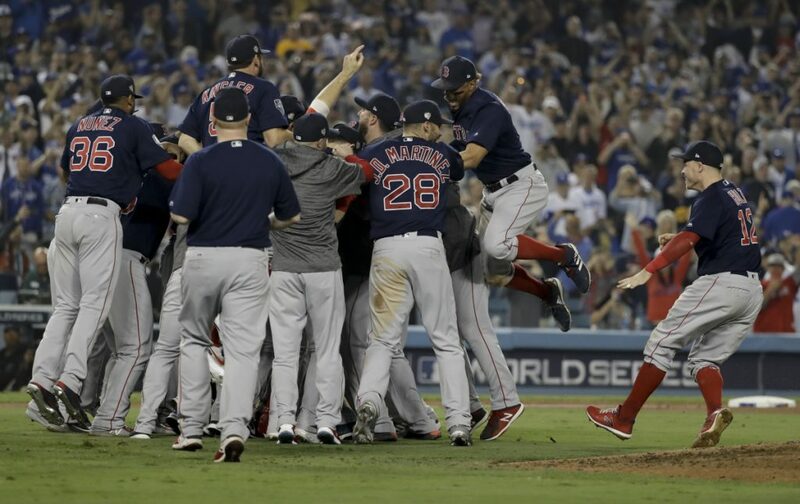 The Boston Red Sox celebrate after winning Game 5 of the World Series over the Dodgers on Sunday in Los Angeles. 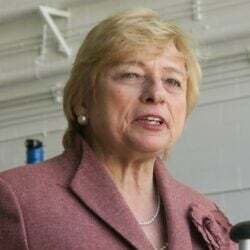 The Red Sox won 5-1 to win the series 4 games to 1. Kershaw allowed four runs and seven hits – three of them homers – in seven innings. He is 9-10 with a 4.32 ERA in 30 postseason appearances, a huge drop from his 153-69 record and 2.39 ERA during the regular season. While the crowd of 54,367 for Dodger Stadium’s final game this year was stunned, Freese woke up fans in the bottom half. He drove Price’s first pitch 402 feet to the opposite field and into the right-field pavilion.